(American University, 1997), M.A. (American University, 1994), and B.A. (Bennington College, 1965), Chair of the Dance Task Force for the National Coalition for Core Arts Standards. Rima returned to academia after a full career as performer, choreographer, director of several performing companies, and founder and director of the Primary Movers Dance School and Company (1979-2000). Her thesis focused on kinesthetic learning for primary school age children and centered on cutting edge research in cognitive and brain development. Her dissertation researched the philosophic and pedagogical principles of the National Standards for Dance Education. She taught in DC public Schools from 1980-1997. In the mid- and late 1990s, Rima worked with National Assessment of Educational Progress (NAEP) on developing, facilitating, and implementing the national assessments in arts education. Rima is the founding President and Executive Director of the National Dance Education Organization where she served as Program Director for 12 years. At NDEO she served as Research Director in NDEO’s research initiative Research in Dance Education, and co-editor for Priorities for Research in Dance Education: A Report to the Nation (2004). She has presented her research regularly at conferences since 1996. She chaired the task forces to develop Standards for Dance in Early Childhood, and new Standards for Dance Education in the Arts (2005). She also led the development of dance standards for the City of Baltimore and Standards for Dance Education in the District of Columbia. In 2002 she received the NDEO Visionary Award, in 2004 was admitted into the American University Performing Arts Hall of Fame, and in 2006 received the MetroDC Dance Award for Excellence in Dance Education. She is founder and President of Capital Region Educators of Dance Organization (CREDO), and served as Chair of the Dance Task Force of the National Coalition for Core Arts Standards. She currently teaches online courses for Rutgers University, George Washington University, and for NDEO OPDI, and is teaching at Joy of Motion Dance Center in DC and Maryland. PhD, MFA, Professor of Dance, Wayne State University. Doug focuses his research on pedagogy, social foundations, gender, curriculum, and the sociology of dance training and education. He received the Hester Doctoral Fellowship (1998), Luther Self Dissertation Fellowship (2000), and the Ethel Lawther Outstanding Alumni Award from the University of North Carolina at Greensboro (2005). in Teaching Award from Wayne State University. Risner’s publications appear in Research in Dance Education, Arts Education Policy Review, Journal of Dance Education, International Journal of Education & the Arts, Teaching Artist Journal, and Dance: Current Selected Research. He is the author of Stigma and Perseverance in the Lives of Boys Who Dance and Hybrid Lives of Teaching Artists in Dance and Theatre Arts with Mary Elizabeth Anderson. 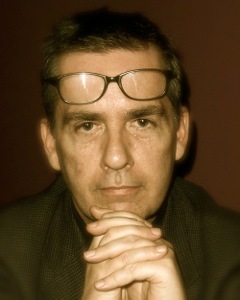 Risner served as editor-in-chief of Journal of Dance Education (2006-2012), and is associate editor of Research in Dance Education. CMA, SMT. Donna is a Dance Education Specialist at Bridgewater State University where she prepares dance education majors for K-12 teacher licensure. She has been engaged in developing embodied education and somatic education curriculum and pedagogy in higher education since 1985.
assessment design and implementation to support development of dynamic and future-thinking dance educators. She has served as a consultant or member of regional, state, national and international committees such as the UNC Charlotte’s edTPA Integration Committee; the North Carolina Pre-service Arts Integration Initiative Committee; the National Coalition for Core Arts Standards Internal Review Team; the DELTA Project; and the University Council of Jamaica; and, others. She has been active in national and international professional organizations including NDEO, International Arts in Society Community (IASC), NDEO, and AAHPERD. 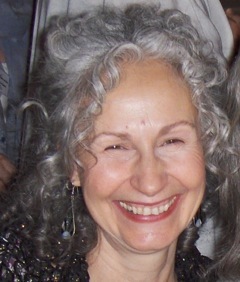 Her research interests include the history and development of dance and somatic-based pedagogy. Marcia McCaffrey is the Arts Consultant at the NH Department of Education, working to defining quality arts education for New Hampshire’s schools. Marcia is President of the State Education Agency Directors of Arts Education (SEADAE) and represents SEADAE on the National Coalition for Core Arts Standards (NCCAS) Leadership Team. Marcia is a regular presenter at national conferences on topics that include the power of arts assessment to inform teaching and learning; mining data to determine levels of access and equity in arts education; and more recently, sessions on the new National Core Arts Standards. Her background includes teaching dance in the public schools in Montclair, New Jersey; teaching dance and arts education policy in higher education; proprietor of a small dance business, and director of a seniors’ dance company. She holds a Masters of Arts from Columbia University in Dance Education, and Bachelor of Science degrees in Elementary Education and Physical Education from Iowa State University. in Providence, RI; choreographer for South County Player's Children's Theatre in Wakefield, RI; and presenter at numerous NDA, NDEO, MAHPERD, NHAPHERD and AAHPERD conferences. She is a published author with Human Kinetics. 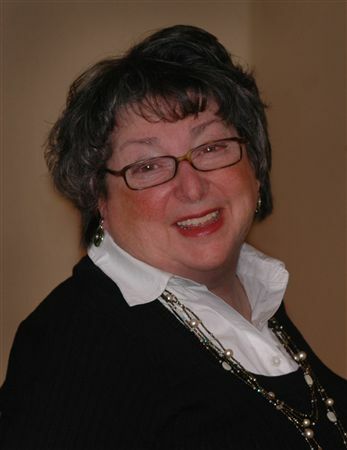 Helene received the Inaugural National Registry of Dance Educators Curtain Call Dance Educator Award in 2008 for her outstanding contributions to the profession.